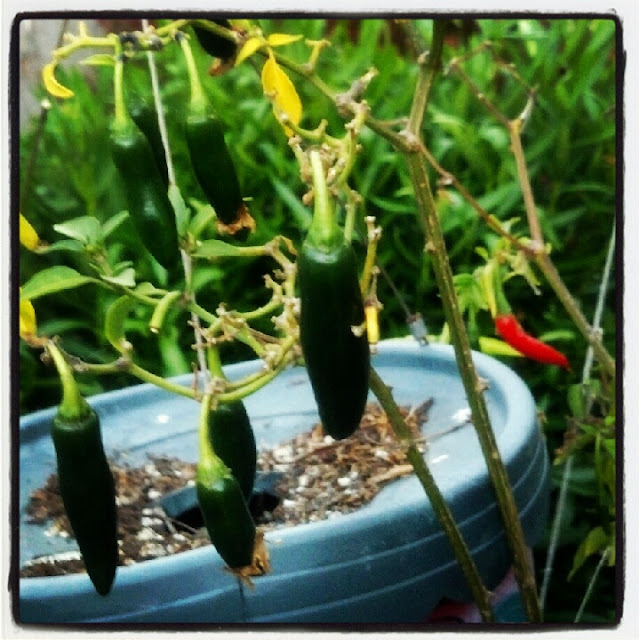 Love from the Kitchen: Tuesday Garden Party - Growing Salsa! So our salsa ingredients aren't quite ready yet, but they are on their way! We've got about 10 different varieties and I can't wait to see how they grow. This one got eaten by a mean ol' caterpillar. But he's coming back! And of course, you need hot peppers for salsa. 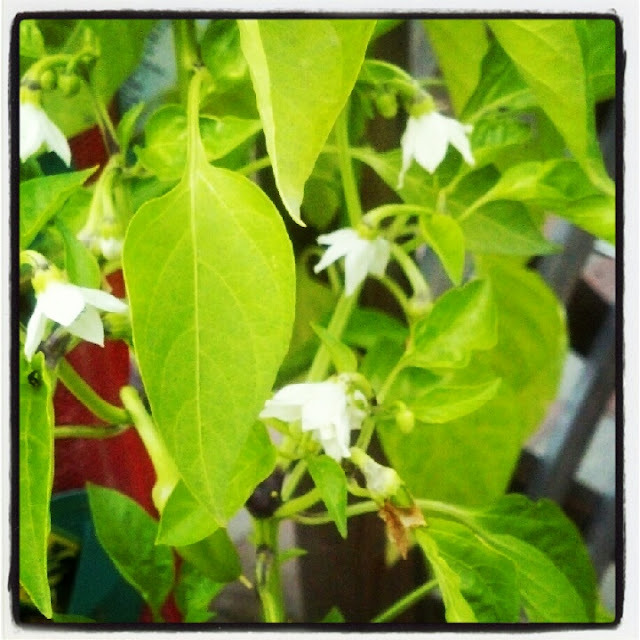 And we have hot peppers! 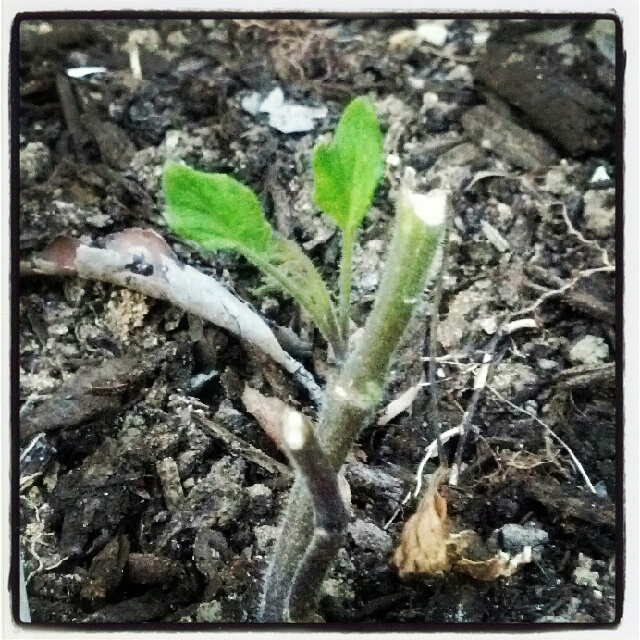 While the quartet of pain isn't growing yet, our other hots are doing incredibly well. I love corn salsa. 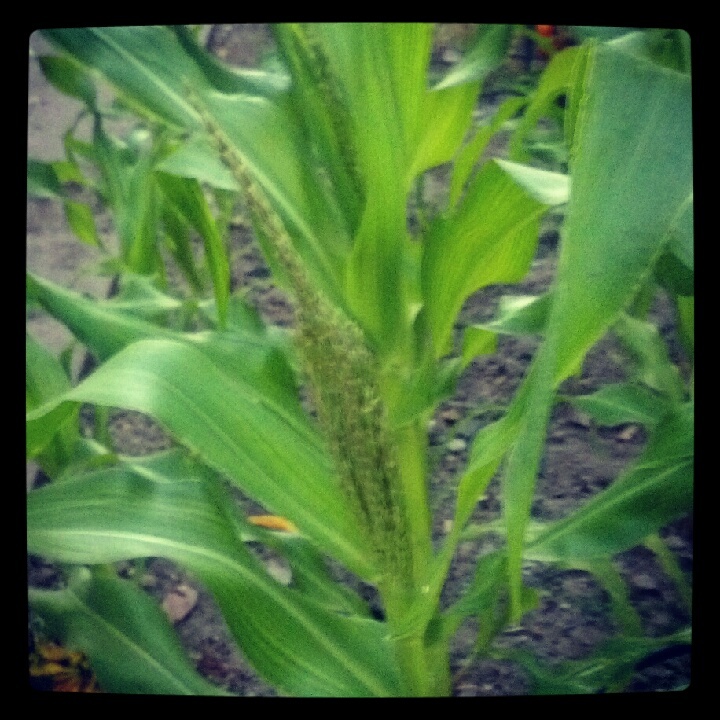 We've got corn on the way too - and it looks fabulous so far! While I'm salsa-dreaming, I thought I'd share my recipe for corn salsa. When my garden grows (faster please!) I'll share pictures too! Blanch the corn in boiling water for 1 to 2 minutes, then cut off the kernels. Saute the corn with the butter and garlic, 8 - 10 minutes or until the starch in the corn is gone. Take the pan off the heat and add the remaining ingredients while corn is still warm. The heat of the pan helps meld the flavors together. Mix well. Salt and pepper to taste. This salsa tastes even better after sitting for a while, so if you can make it the night before, do it. Your patience will be rewarded! Check back next week to see what else we're up to in the garden - in the meantime, check out An Oregon Cottage for her weekly Garden Party. 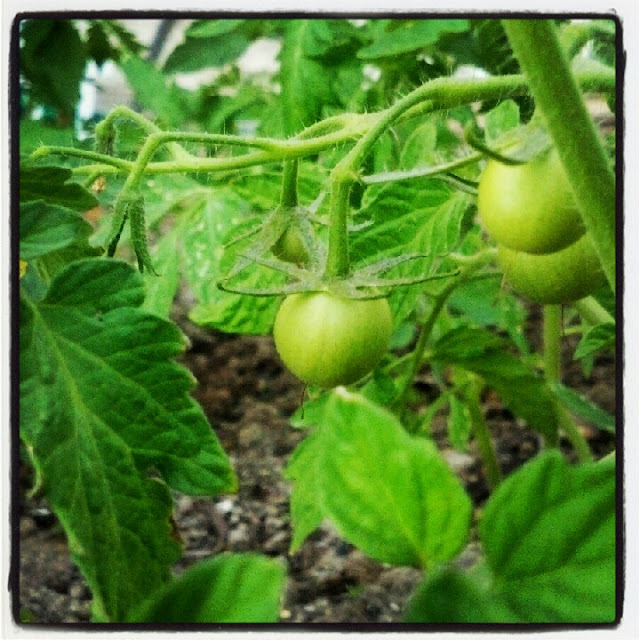 Your salsa garden looks good. Thank you for the salsa recipe. Sounds yum. oh my gosh how cool! i definitely do NOT have a green thumb! haha happy growing! Wow--10 varieties of tomatoes--how cool! You'll have to write a post and let us know your favorites. 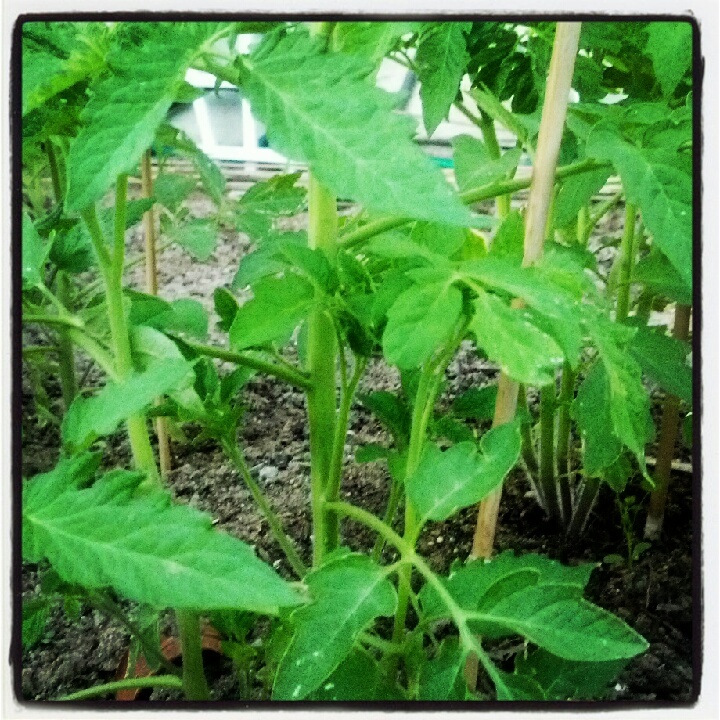 I can't wait for fresh tomatoes, but we are still a long way off from that here. I will have to try your salsa recipe as well--it sounds delish! Sounds like the perfect treat on a hot summer's evening. Those tomatoes are looking very healthy--mine are kind of short and stumpy this year. Wonder why. You're further along than we are here up north - that salsa is closer than you think. ;-) And your corn salsa sounds terrific- I'm going to try that this year for sure. Thank you!